This property was present and witnessed Barcelona’s move from the late nineteenth century. Originally known as “Fonda Navarro”, first as a pure warehouse, then as an eating house. In 1940 the site changed hands and was called Ca L’estevet, however, it was also known as “La Mariona”, the owner’s daughter who attended the vatried clientele with memorable savvy and grace. Ca L’Estevet is a part of the rich history of the city as a rallying point of the certain nuclei of Barcelona’s society, which had its great moment from the formation and development of the ineffable “gauche divine”. The table at the back of the restaurant, authentic “private” which used to be taken by assault or under reservation was launched to fame by Alberto Oliveras, Català Roca, Marc Aleu and others. By day the soul of it was Xavier Corberó, mainstay of the social and artistic community that had the table at the back of Ca L’Estevet. 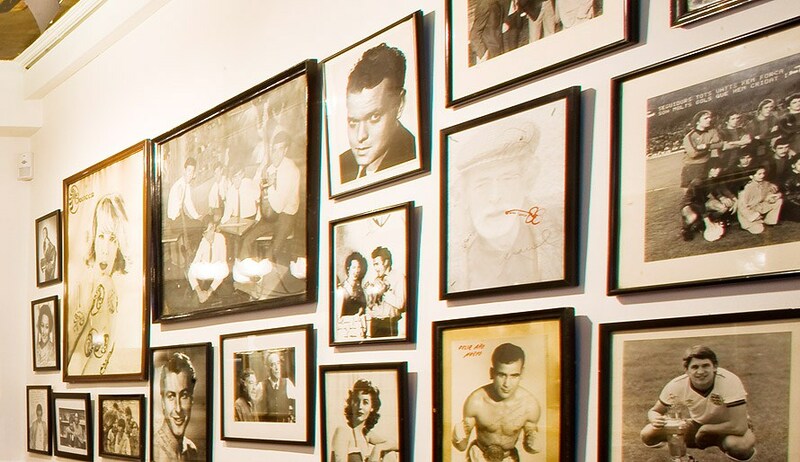 The table, as there have been trends and times, has been occupied by the troupe of “La Chunga”, Analia Gadé or Vicente Parra and even the people who came to watch the boxing matches in the now defunct “Price”. Alberto Puig Palau, Gades, Serrat, Ibáñez Serrador and many others discussed projects whilst sitting at the table. The reports of La Vanguardia filled its capacity at noon, and today there are two cultural center of reference, the Museum of Contemporary Art (MACBA) and the “Centre de Cultura Contemporànea de Barcelona” (CCCB), as well as neighboring universities, while at night it still remains one of the most traditional meeting places.